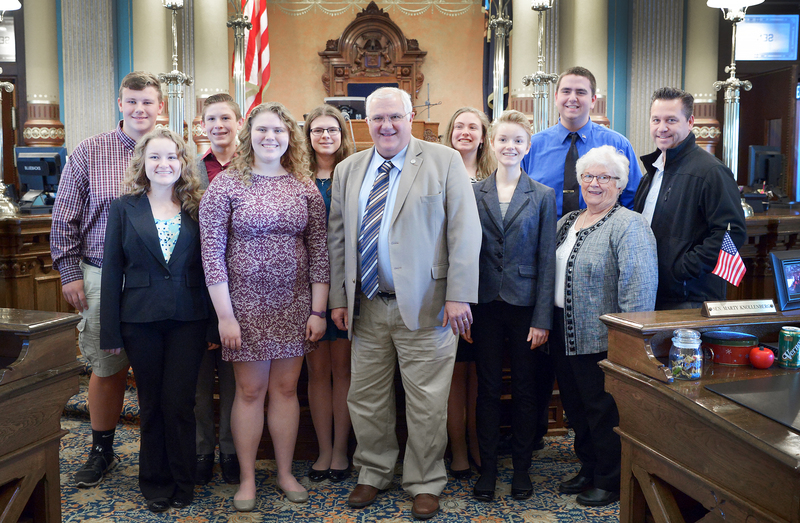 LANSING, Mich. — Sen. Dale Zorn, R-Ida, welcomed the Milan Youth City Council and their advisor, Milan City Council Member Ann Gee, to the Michigan Capitol on Thursday. 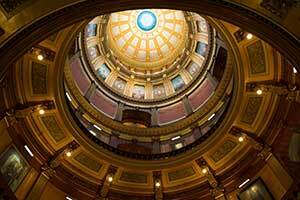 The group joined Zorn on the Senate floor before session. Editor’s note: A print-quality version of the above photograph is available by clicking on the image or by visiting the senator’s website at: www.SenatorDaleZorn.com/Photowire.